My new personal year has begun and already everything feels different. I am ready and energized for what’s next. Last year was incredibly hard, but it lead to so much growth and wisdom. I have a deep sense of happiness that I have never known. When I was a girl I wanted to be a strong independent woman, who could take care of myself, know who I was and what I want. I realized awhile ago that I am that woman and this week I realized that I have grown beyond that woman and become a woman that was not in my awareness as a child. My child self and I are proud of the woman I am and the woman I am becoming each day. While this path can get lonely at times, because few are willing to face fears head on and take risks, I am not unique. This path is leading me to meet people who are on the same page as me. You can not know what is waiting for you in the world, if you stay inside or stay within your comfort zone. For some doing what others won’t may be a baby step to others it may be strides, but either way your life will shift in your favor. You are capable and worthy of seeing your dreams become a reality. 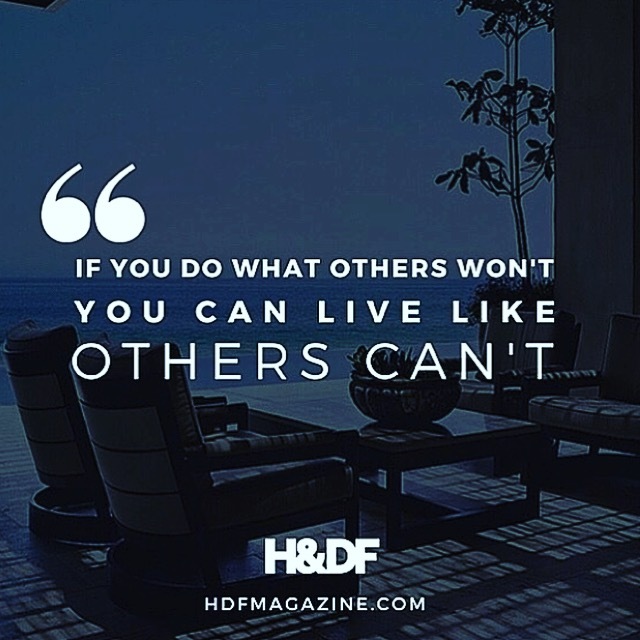 Do what others won’t. Thank you for the good energy and comment. So heartened when I read this! Am sending you good energy . . .